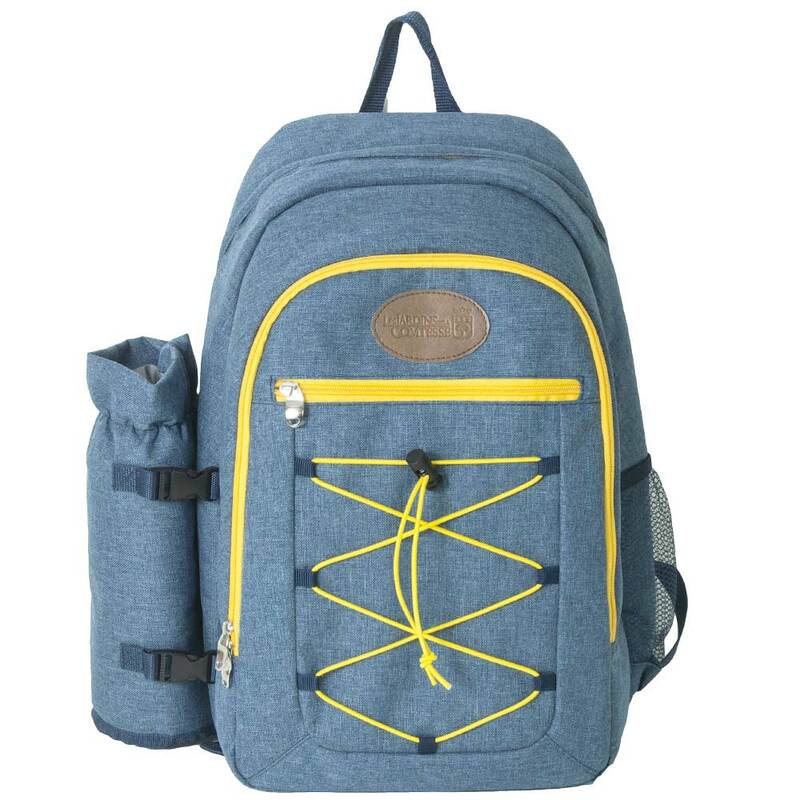 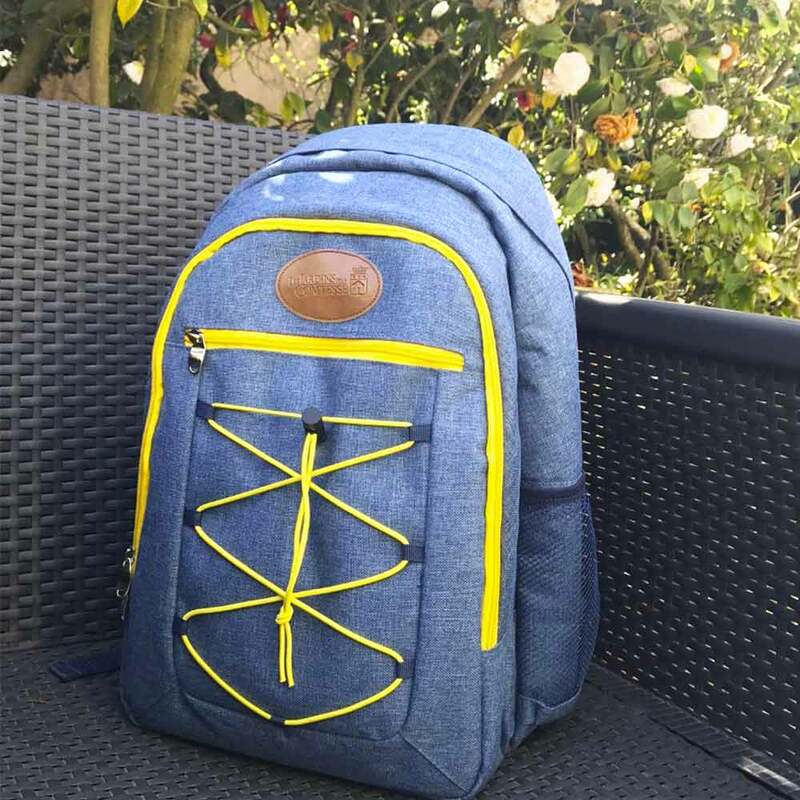 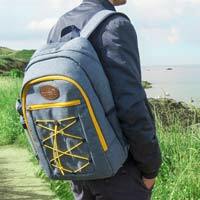 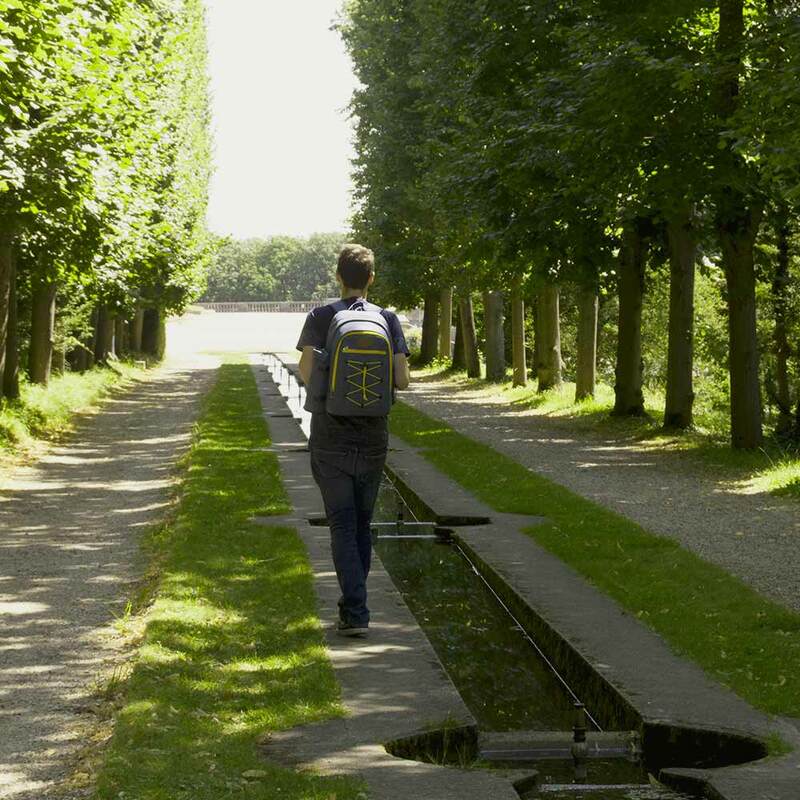 Washable polyester Urban Trekking backpack (600 denier) in denim-effect blue with a touch of yellow. 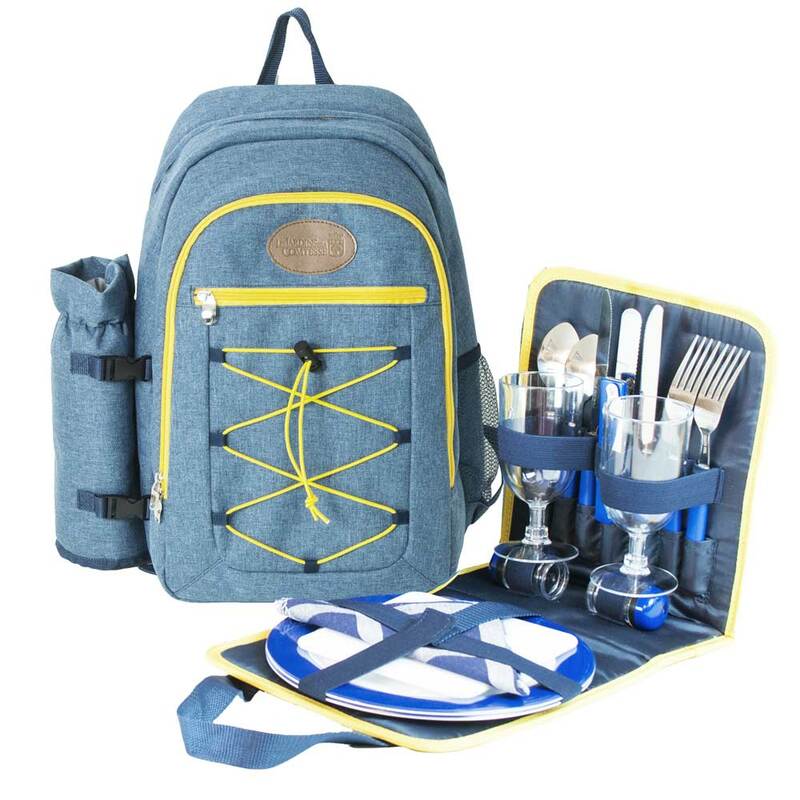 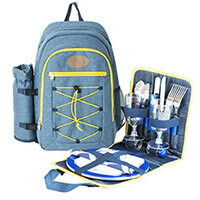 - Picnic backpack: with a removable set of picnic essentials for two people. 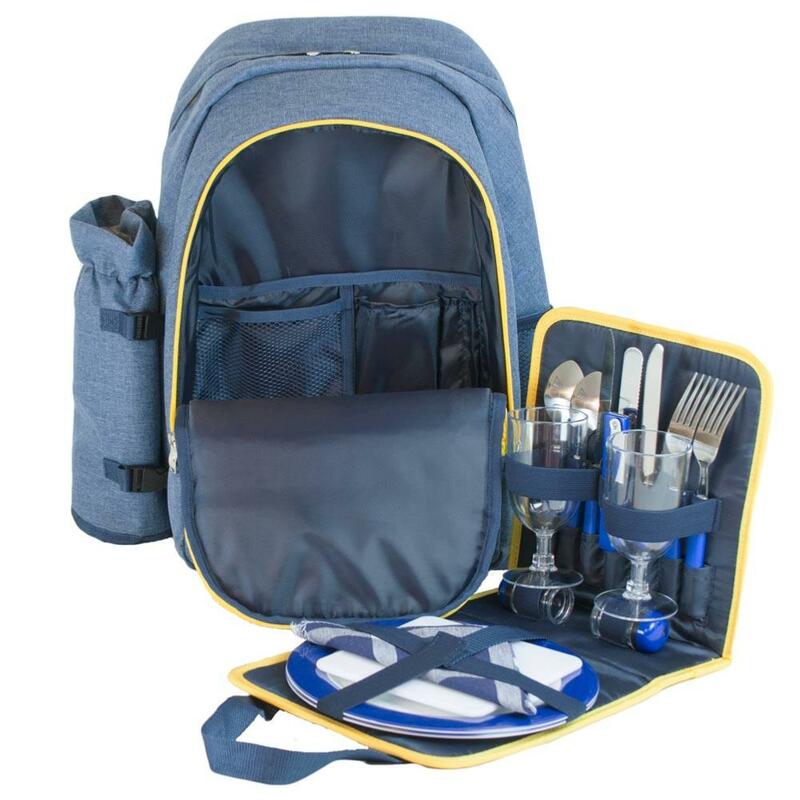 The bag features an insulated compartment to make transporting your picnic super convenient, as well as adetachable bottle holder and a fleece base that makes it the perfect year-round companion. 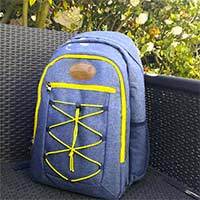 With an abundance of storage compartments, this bag is comfortable and easy to hold as you go about your daily business or walk through the forest or the mountains. 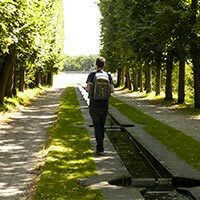 - Urban backpack: by removing the picnic set, your bag is quickly transformed into an urban bag, ideal for getting to work. 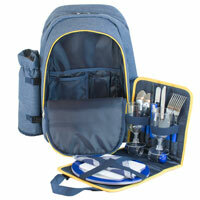 Its bottle storage could comein really handy, just like the insulated compartment to keep your lunch cool. 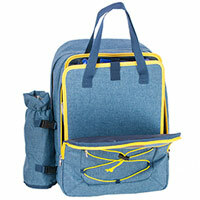 In addition, a wide range of storage pockets makes it easy to store laptops, tablets, or mobile phones. 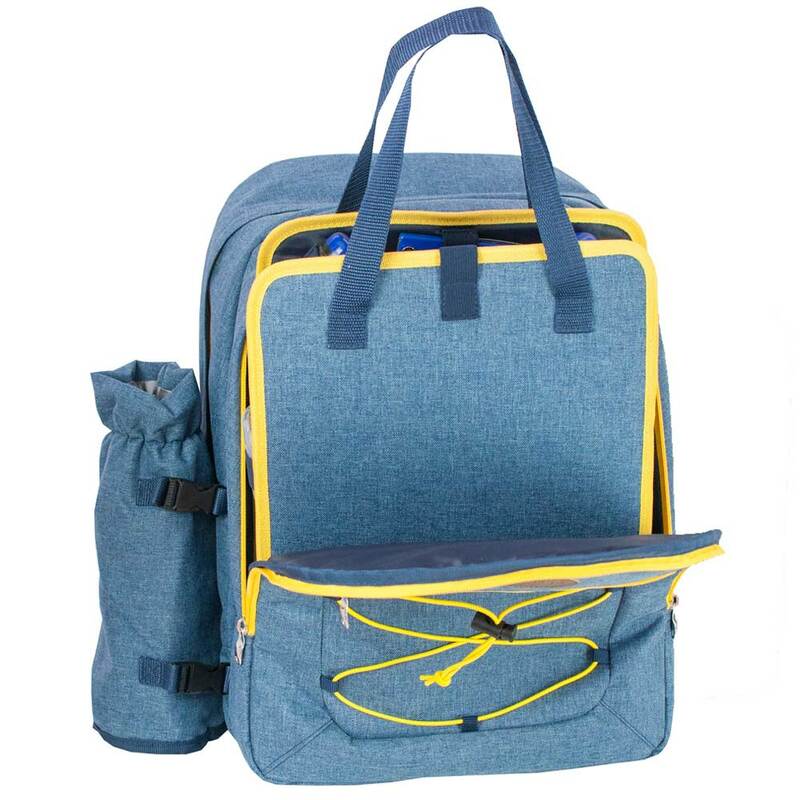 Before 1 pm (12 pm UK & Ireland hour) from Monday to Friday is shipped the same evening.